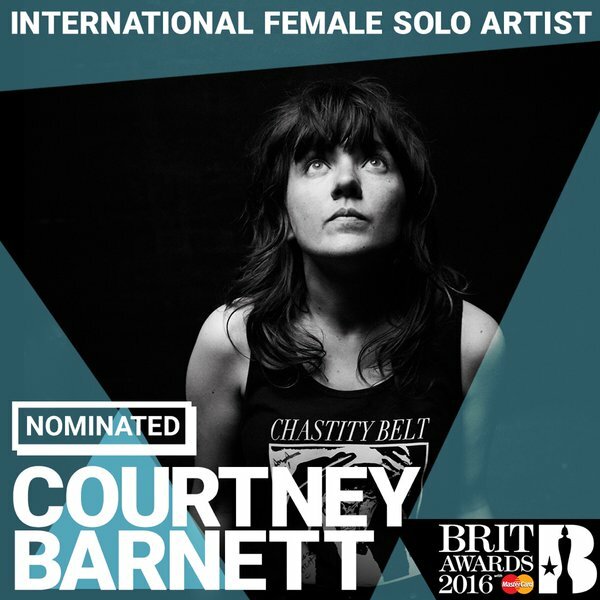 Courtney Barnett is nominated for a BRIT Award for International Female Solo Artist. She's nominated alongside Lana Del Ray, Björk, Meghan Trainor, and Ariana Grande. Stay tuned - the awards ceremony will take place February 24. The Australian rocker's debut Sometimes I Sit and Think, And Sometimes I Just Sit is being recognized around the world. She received a Grammy nomination for Best New Artist as well as Australia's Triple J Hottest 100. Check out Courtney Barnett's upcoming tour dates here.